What is the Plus 1 book? 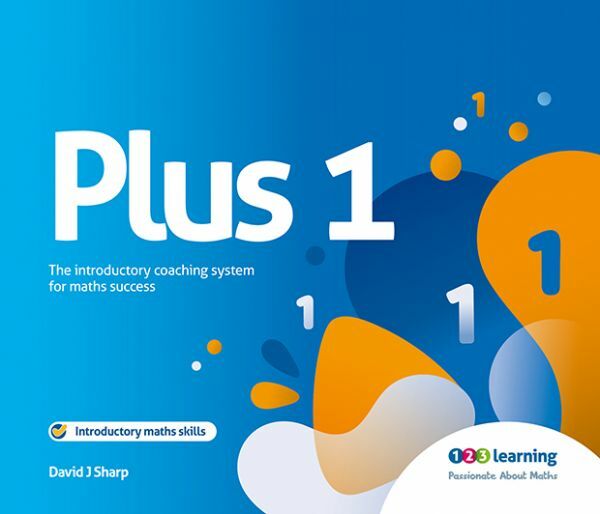 Plus 1 is the introductory book of the series allowing anyone to make progress with their maths. The book is essentially a coaching manual which allows anyone to deliver individual support. The book teaches all the building blocks of numbers, and begins to develop skills with mental calculations. Yes it does, but, we would say that wouldn't we? It was initially written following feedback from our customers that a basic resource was required. Our belief in the success of the book is based on the feedback we receive from customers, and the large volume of repeat orders. 80% of our sales are repeat orders from schools who have ordered from us before. Thus, we know that Plus 1 has been, and continues to be, an outstanding success for all its users, producing real improvement from day one of use. Plus 1 is ideal for anyone who benefits from repeated maths practice. It's designed to appeal to all age ranges and it suitable from 6 years old, right up to adult basic skills. The clear language and repetition benefits students with dyslexia and those with English as an Additional language. Students with dyscalculia benefit from the highly structured approach with clear explanations. What topics does the book cover? The book covers basic number work, such as counting forwards and backwards with numbers up to 10, adding and subtracting numbers up to 10, and introducing doubling and halving. It is for anyone who benefits from repeated practice and explanation as the book, Plus 1, stems from the need of some people to have more reinforcement and practice than is often available. Full instructions and example pages are included in each book, but essentially Plus 1 requires that each question is answered correctly on three consecutive occasions on different days. When a question is answered correctly a tick should be placed on the line, a question answered incorrectly is marked with a dot. On each page of the book there is space for working out solutions, but students should be encouraged to carry out the calculations in this book without using pen and paper. It is not intended that certain pages should be used in isolation. Plus 1 has been found to work best when it is used 4 or 5 times a week, with each session lasting for about 10 to 15 minutes. Is there a best way to use the book? The books are used at school and delivered by teaching assistants or volunteers. Prep schools use our books to boost learning for all their pupils. ... And, of course, combinations of the above.